Argh! Criticism is something that impacts everyone at some point in their lives. We’ve been taught from a young age to value the opinion of others. As a matter of fact, we often times are told that others opinions of us are how we know our value. Our parents tell us were a good girl or boy or were a bad girl or a boy. Our coaches put us into categories. People judge us based on how smart we are or how pretty we are… whether we are tall or short, skinny or fat for our age. Over and over again, we are told that our value comes from what other people think of us. We can’t help but learn to take criticism personally. Right? I know this is hard to believe but no one can make you feel anything without your permission. It is you that gives others the permission to make you feel bad. 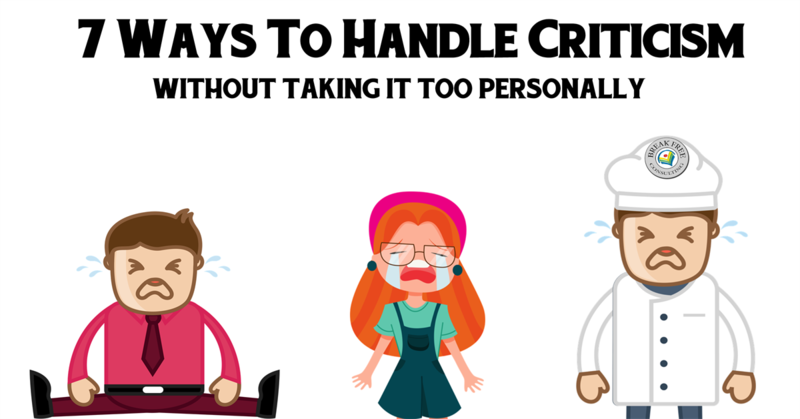 Why else would criticism hurt you? Words are powerful but they get their power from you and the meaning that you and your brain create from those words. If someone says to me, “Traci, that is the dumbest idea I’ve ever heard. How can you be so stupid?! ?” I get to choose the meaning that I get from that statement and rhetorical question. I can choose to believe that I am stupid and that’s why I said something that that person perceived as dumb or I can believe that I made a mistake or I can become curious as to the perspective that the other person is taking or… or… or. There are so many possibilities to how those statements are perceived. And it is ME who gets to choose the perspective that I take. The truth is not everyone has to like you. It’s a fact that everyone WON’T like you. Whether someone likes you or not is not solely determined by you, who you are, or what you do. Over half of someone’s perception of you depends on the lenses through which they see you. If the lens isn’t clear, then they will only see a limited perspective of you and your actions. You can’t control what they see all of the time. He goes on to say… imagine interacting with the same person in two different situations. The first time, the person had an AWESOME day—they got a great night of sleep, won the lottery and every other thing that could’ve possibly gone well for them unfolded. They’re feelin’ great. How do you think they’re gonna treat you? Probably pretty well, eh? Now, same person but this time, they got a really bad night of sleep, lost their job, got in a car accident, didn’t eat all day long and every other annoying thing that could’ve happened, happened. How do you think they’re gonna treat you now? Probably nowhere near as well as when they’re rested, happy and all that jazz, eh? The important thing to note here is that YOU were exactly the same in both situations. But if you base your opinion of yourself on how someone else treats you, you’re in trouble. Calm yourself down by taking a few deep breaths. You must be calm to access your best thinking and not get caught up in old thinking habits that aren’t supporting you. Tell yourself that you will not give anyone the power to make you unhappy. You are in control of your perspectives and the stories you tell yourself about the circumstances surrounding you. Take your power back by taking control of what you’re thinking and shift to a different line of thought. Don’t let someone else’s opinion of you become your reality if it doesn’t support who you want to be. You control you! We often have a lot of beliefs and make a lot of assumptions and have expectations that cause us to feel criticized even if we are not being criticized. Here’s an example belief that someone might have… If I greet someone, they have to greet me back. If I believe this, then if someone doesn’t return my greeting, they’re being disrespectful toward me. If they’re disrespectful, it’s because they think that I’m not worthy of respect. If people think I’m not worthy of respect, then they think I’m worthless. If people think I’m worthless, then maybe I am. Do you see how one belief, assumption or expectation can lead us down a mental path that has little to do with what actually happened? I mean in this example, I said “Hi” to someone and they didn’t say “Hi” back to me. There are literally a million or more reasons as to why that may have happened and few, if any, actually have to do with me. The same holds true if someone is offering to help you with a simple task. When they offer assistance, you may assume, “They must think I’m stupid.” Yet, often times they are helping you because they find THEIR value in being able to help people. They are trying to feel good about themselves – they usually aren’t even really thinking about you and your capabilities or stupidity. Are you a perfectionist? Are you harder on yourself than others? This is another area where your beliefs can be a problem. Does your to-do list keep getting bigger? If so, you have an unrealistic belief around time and how much time it takes to get things done. It’s the expectation or belief that you want to question, not you and your abilities. Then question them. Are they supporting you? Are they helping you to get where you want to go? Criticism can cause amygdala hijacks… cause us to feel like we are being threatened and must react quickly. This is where the practice of mindfulness comes into play. Cesar and I talked about this in episode 101 of PM for the Masses. Being able to recognize your thinking between the stimulus and the reaction. Mindfulness will help you to find that sliver of time where you are at choice… where you can choose to respond differently than your brain’s initial habit. Your initial response might be to react emotionally. If possible, don’t follow that knee-jerk reaction. Take a deep breath. Rein in your emotions and assess what’s really happening before you respond. In general, it’s a good idea to create a healthy personal space before acting. In episode 102 of PM for the Masses Podcast, Cesar and I discuss the fixed and growth mindsets in great detail. What’s interesting to note is that your perspective of criticism is based on YOUR mindset – not that of your criticizers. When you take feedback or criticism personally, it’s a reflection of how YOU feel about you – not always a reflection of how they feel about you. Your worth as a human being isn’t determined by what you do. You are unique, priceless, irreplaceable and beautiful just as you are because you “are”. No one can take that intrinsic, infinite value away from you without your permission. Stop giving the criticizers permission to make you feel less than. If you are struggling here, I want to encourage you to write out – yes, on a piece of paper – your backwards bucket list. This is the list of all the things you have already accomplished or lived through in your life. Do it now or schedule this on your calendar! You may be surprised at all of the things you’ve already done and who you’ve become along the way. 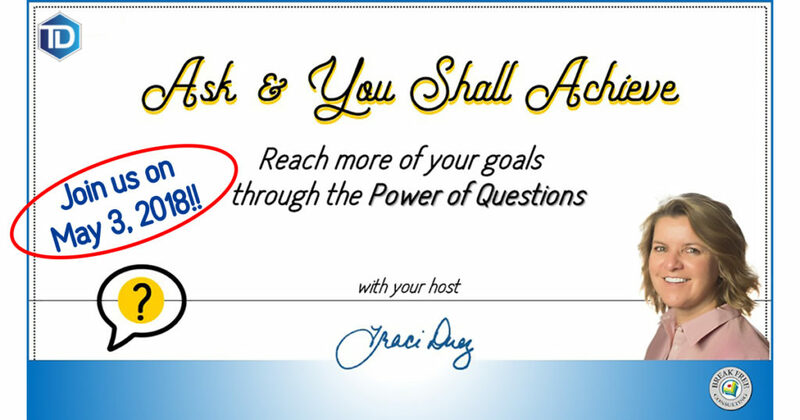 Interested in Learning How to Know WHO You Are & Where You Want to Go? ©2019 Break Free Consulting LLC. All Rights Reserved.